The Walya Antelopes' trainer has boasted that his men have all it takes to beat the Super Eagles to the 2014 World Cup ticket. 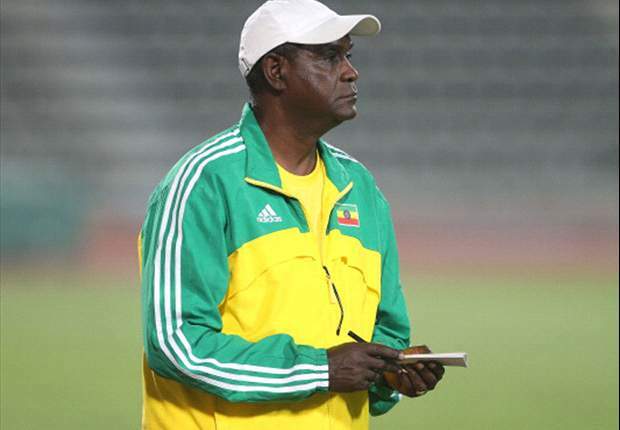 Coach Sewnet Bishaw insists his men are ready for the Nigeria national team when both sides face off in Sunday’s first leg final round of the 2014 World Cup qualifiers billed for Addis Ababa. Although the Walya Antelopes are big underdogs going into this tie against the Eagles that are ranked 36th in the world, the Ethiopian handler maintains an unwavering doggedness to stage an upset against the African champions. ’’I don't know Brazil, so I want to see it," Bishaw told the AFP. Concerning the team's preparations for the important game at the National Stadium, Bishaw said his boys are aware of the task ahead of them. "We have tried to prepare them physically as well as mentally in the first week and now we are doing our tactical work and we will continue in the coming few days to combine the two," he said. He, however, claimed that the Nigerian squad at the Africa Cup of Nations is not a better team than the Walya Antelopes. The Eagles won 2-0 via penalties from Victor Moses on their way to lifting the trophy for the third time. "If you look seriously at that match, Nigeria were not a better team than us. Up to the end, we were performing well. But in the last 10 minutes, they used their experience, so they got two penalties. I think we will have a better game in the coming match against Nigeria," he concluded. Ethiopia host Nigeria on Sunday while the return match is scheduled for November 16 with the aggregate winners qualifying for the 2014 World Cup. It would be a big shock if the East Africans go through ahead of their more fancied opponents.